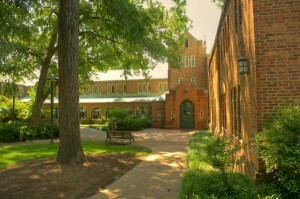 McTyeire International House promotes the use of foreign languages and the awareness of different cultures. McTyeire offers programs to students seeking to improve their fluency in French, German, Japanese, Chinese, Spanish or Russian as well as a program, offered in English, to students seeking to learn more about international topics. Students are required to speak their target languages or discuss international topics at specific activities, including weekly study breaks and international dinners served Monday through Thursday in McTyeire’s own dining room. McTyeire’s kitchen specializes in international cuisine from around the world. The 97 McTyeire undergraduate and graduate student residents are housed in single rooms. Residents of McTyeire have access to a variety of foreign language publications in the hall’s own library and to a DVD player and TV in the TV lounge. It is not necessary to be a language major to be part of McTyeire’s language groups. In fact, one of McTyeire’s main attractions is the diversity of its residents. Residency is open to students of all majors and schools of the University. The McTyeire community also includes a select number of graduate students and native speakers. Many of the undergraduate students are preparing to study in one of the Vanderbilt overseas programs or have just returned from a semester abroad. The only requirements are sufficient language ability to converse informally (when joining a language group) and the willingness to participate in both group specific and dorm-wide activities. The International House is a project of the College of Arts and Science in partnership with the Office of Housing and Residential Education. It is open to all upper-class undergraduate and graduate students of the University. Application forms are available online or in the Office of Housing and Residential Education, 4113 Branscomb Quadrangle, early in the spring semester. New residents are selected by committees of students and faculty during late February for the following year or at other times when there are vacancies. Events at McTyeire are organized both by the dorm as a whole and by the individual halls. Dorm-wide activities include dances, volleyball, cook-outs, and special parties (e.g., the McTyeire Student-Faculty Mixer, McTyeire Olympics, and Big Band Ball). The fireplace lounge provides a cozy setting for studying, fireside chats featuring guest speakers, and marshmallow roasts. Each week, the halls meet at study breaks for discussions, watching movies, playing games or eating international food. 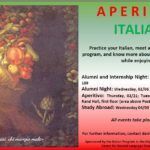 Because the international dinners are the heart of the McTyeire Living/Learning program, all residents are required to participate in one of two McTyeire meal plan options. The basic meal plan, aka the ‘McTyeire Plan’, includes four mandatory dinners served Mondays-Thursdays at 6 p.m. and five hot breakfast bars served Mondays-Fridays from 7 to 10 a.m. in McTyeire’s own Dining Hall. It also includes three additional meals whenever meals are not served at McTyeire, and $150 in meal money. The additional meals can be taken at any Vanderbilt Dining facility that accepts meal plans; one meal can be taken per meal period and there is no roll-over for these meals. The dinners at McTyeire always include a vegetarian option and salad bar. For the academic year 2015/2016, the fee for the basic ‘McTyeire Plan’ is $1,545 per semester. The optional ‘McTyeire 15 Plan’ includes all of the above but has 6 additional meals instead of only 3. These 6 additional meals have a roll-over of $3.15 per meal. For the academic year 2015/2016, the fee for the ‘McTyeire 15 Plan’ is $2,101 per semester. For more information about the McTyeire International House, please consult the McTyeire International House Handbook.